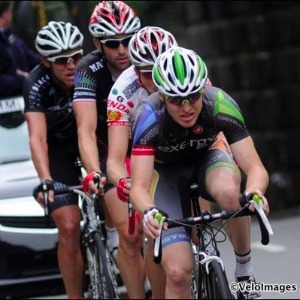 I work with competition focused cyclists and those interested in getting into racing. I typically work closely with my athletes and plan 1-4 weeks in advance to tailor training as closely as possible to race-specific requirements. I'm USA Cycling coaching certified. I manage the USA Cycling Northwest Junior Talent ID Camp in Forest Grove, OR. Born 1984, raised in Eugene, OR. At age 12 began racing cross country MTB in 1997, began seriously pursuing road racing in 2007. Raced cyclocross in Belgium Winter 2008-09. Domestic Professional with Team Exergy 2011-2012. Success. Coach Quinn Keogh has been notified of your message.